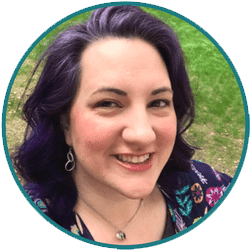 As I'm wrapping up my dining room makeover, I've recently started on my upstairs bathroom - because there's no time to start a new project like right before your current one is done! This project couldn't be easier and took maybe 5 minutes from start to finish. 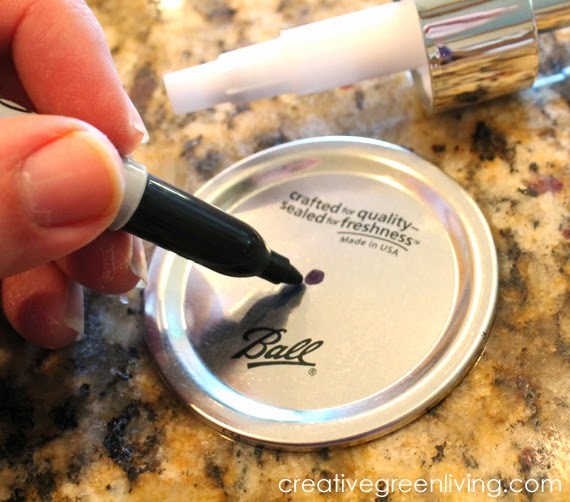 Use your marker to mark the center of the jar lid. Put on safety goggles. Yes, really. Getting metal shards in your eye is no fun! 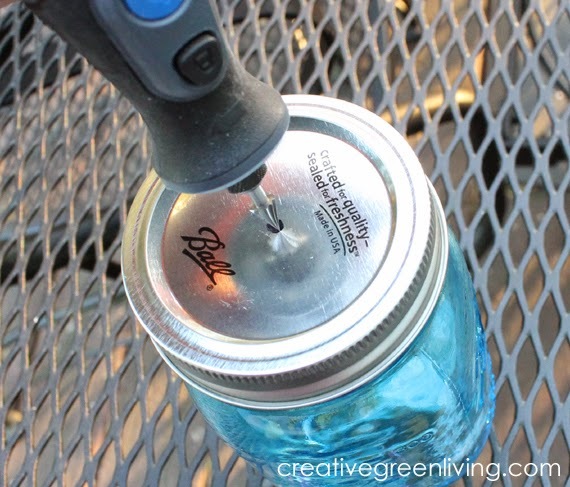 Use your drill or Dremel rotary tool to drill a hole in the center. Slowly expand the size of the hole until it will accommodate the pump mechanism. 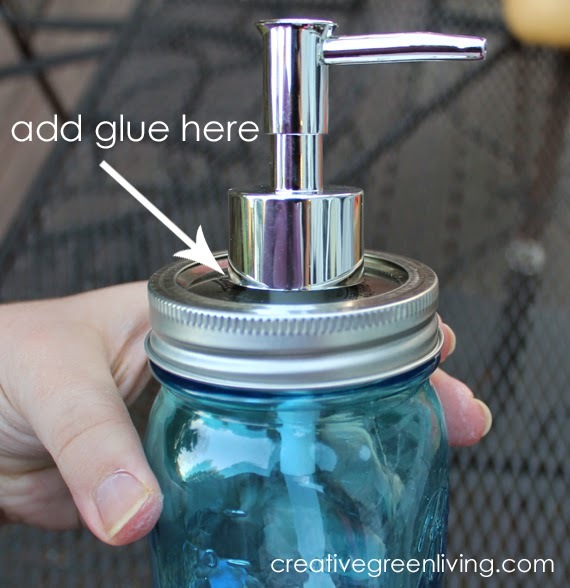 Run a line of E6000 glue around the metal part of the pump to attach it firmly to the lid. Use masking tape as needed to hold it in place while curing. 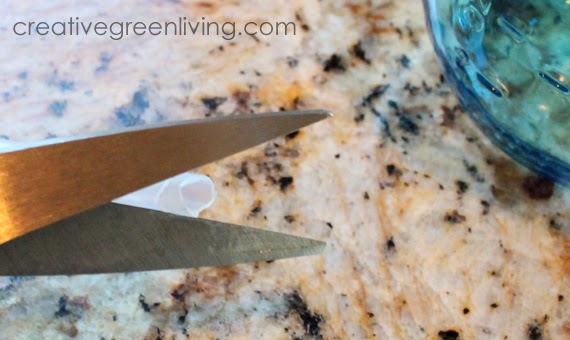 Use scissors to trim the bottom of the straw to be the correct size for your jar. Step 4: Fill with soap and enjoy! I love this idea! I hope that they still have the purple ones from spring! 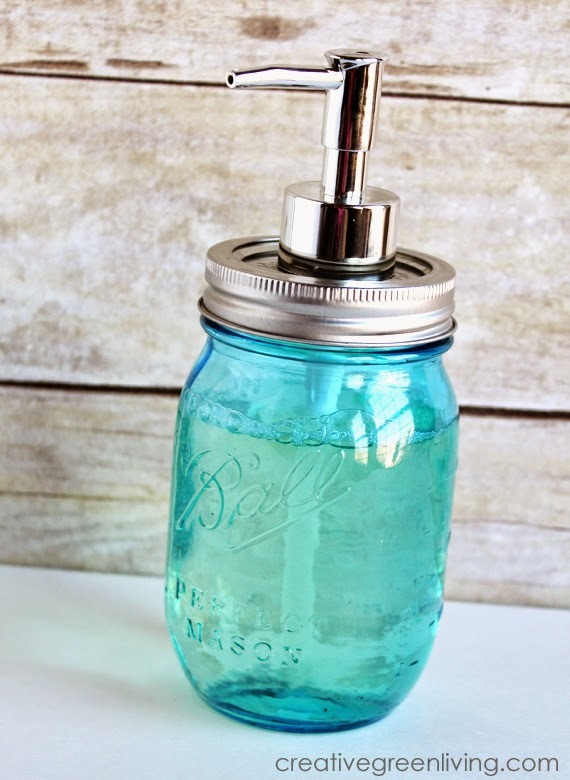 I used a pint sized jar for this soap dispenser. 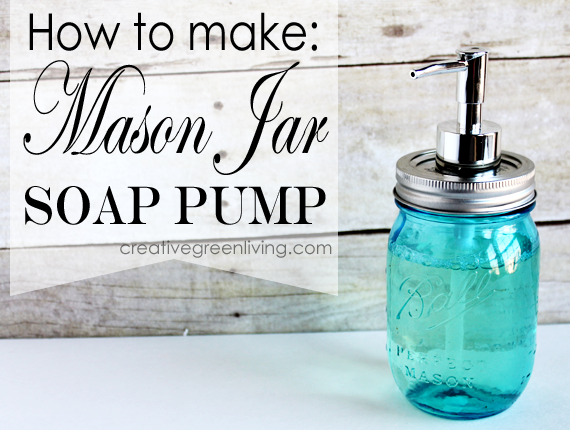 When I pump soap, I usually cup my hand around the end to prevent soap shooting out in general so I haven't noticed issues with this particular pump due to the way I use pumps generally. These same steps can be taken with any pump, though -- so just look for a curved pump style you like and you'll be golden!